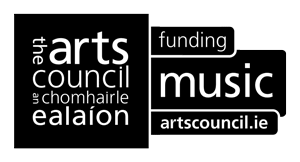 We are Rahan Comhaltas, a local branch of Comhaltas Ceoltoiri Eireann, the national organisation dedicated to the promotion of traditional Irish music. We are situated in a quiet, beautiful part of the Irish midlands in the heart of the County Offaly. Our purpose is to spread the culture and craic of Irish traditional music and dance and to entertain with concerts, fleadhanna ceoil and tours. As part of this mission we have brought our unique brand of entertainment all over Ireland, to the UK and Germany. 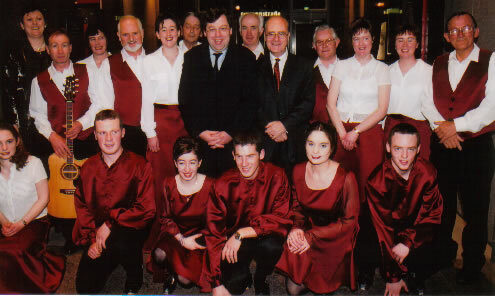 Pictured here is the group in Berlin in the year 2001 with the then Irish Ambassador to Germany, Mr. Noel Fahy, and the Irish Minister for Foreign Affairs, Mr. Brian Cowen. We may be found located at the red dot in the map below. Come and visit us some time and enjoy a good session.